Hello lovelies! Today I have another fun DIY for you guys and it's a crochet Christmas banner! This is such a cute Christmas decor idea that you can make and put up in your home or room. 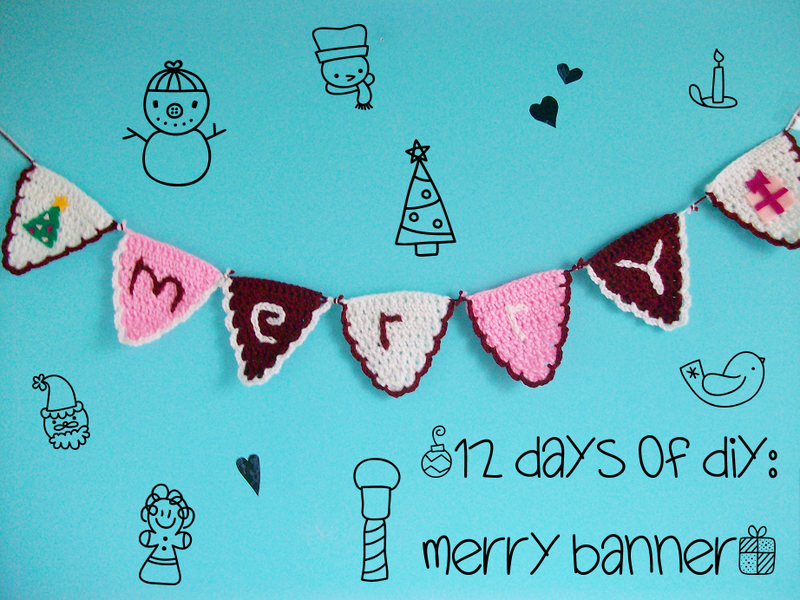 You can make the banner as long as you want and make it say whatever you want (i think a Christmas one would be cute under the merry one). Enjoy! 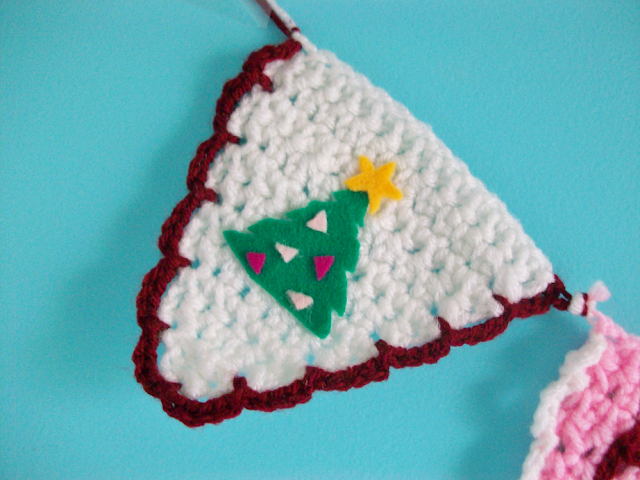 Now you have one triangle crochet piece. Make as many of these pieces as you want, the more pieces you have the longer your banner will be (I made 7 pieces). Insert your hook at the left edge at the top of you crochet pieces and sl st to make it secure. Ch 4, sk a st and then sl st onto the next st. Repeat this until you reach the other side of your crochet piece. 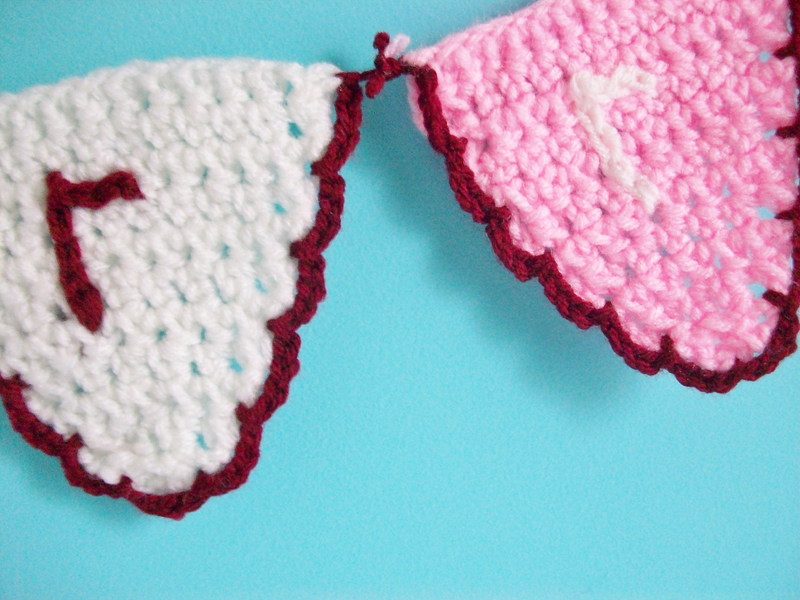 Do this to the rest of the crochet pieces you made. Tie the yarn ends on the sides together and connect the other crochet pieces ends together this will connect the banner together. Sew and hide the remaining yarn ends. 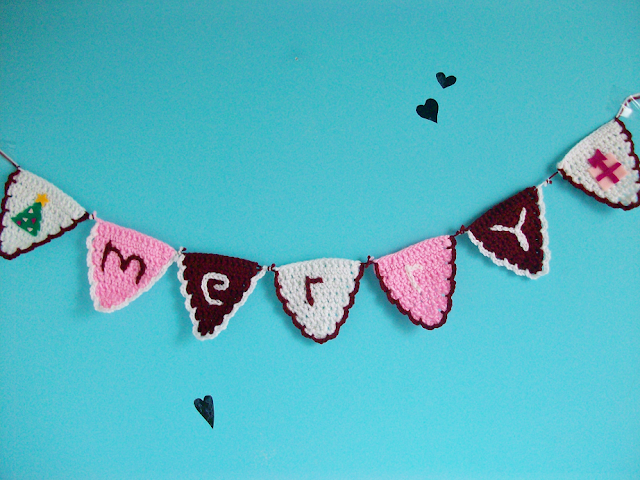 To make the crochet letters that say "merry" I crocheted on top of the crochet pieces with an opposing yarn color. 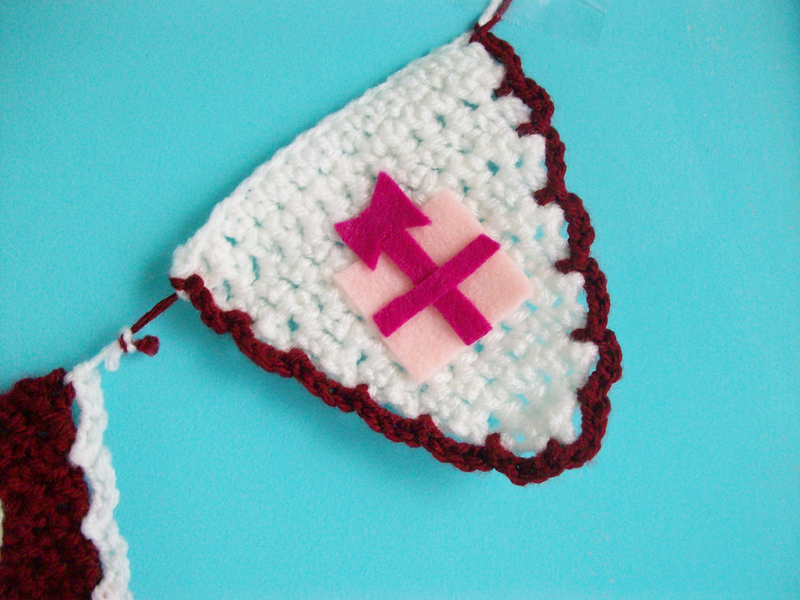 Insert your hook through one of those holes on the crochet piece and your basically going to crochet on the triangle (it's actually more of an sl st). 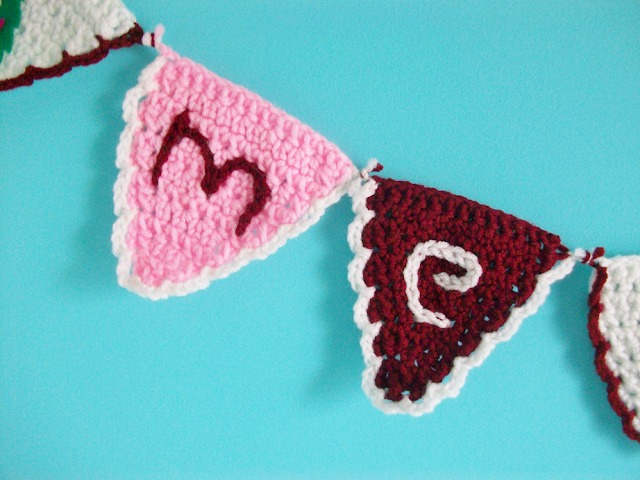 Crochet whatever letters you want and cut off. Weave the remaining ends of yarn. 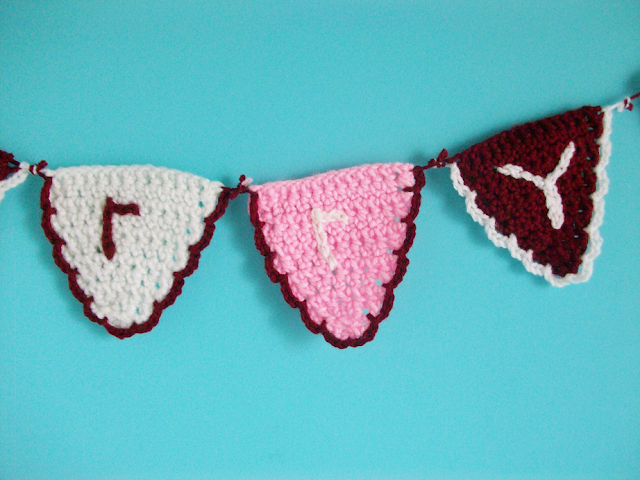 Crocheting over yarn can be kind of tricky but once you get the hang of it you can crochet whatever you want! 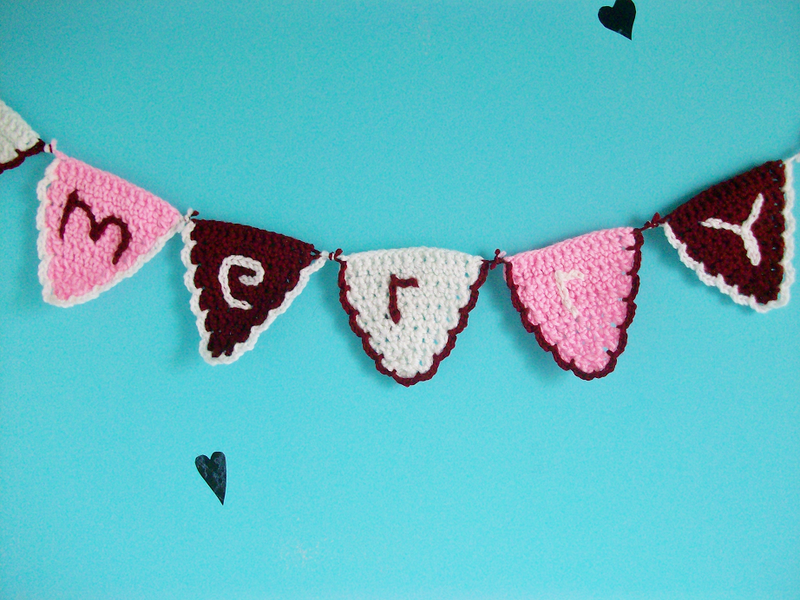 If crocheting on a crochet piece is kind of complicated then you can just cut out felt letters instead. I cut out a cute Christmas tree and gift box. So cute!